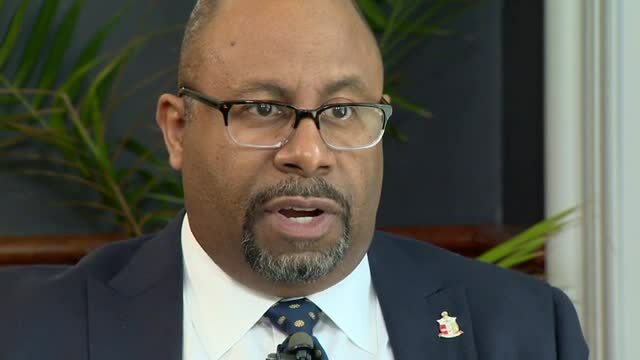 A former human resources administrator for Metro Nashville Public Schools says he faced retaliation and was finally forced to resign for insisting that sexual harassment complaints get proper investigations. 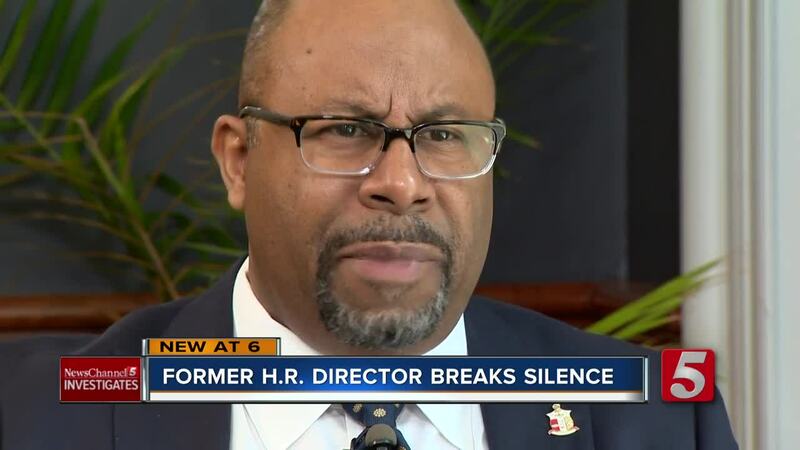 NASHVILLE, Tenn. (WTVF) — A former human resources administrator for Metro Nashville Public Schools says he faced retaliation and was finally forced to resign for insisting that sexual harassment complaints get proper investigations. Scott Lindsey, who filed a lawsuit back in December, said he finally decided to speak out about the toxic culture under Schools Director Dr. Shawn Joseph after the district's own law firm recently warned of a morale crisis that threatens Metro Schools' ability to attract and retain good employees. "It was almost kind of like -- and I'm not making this up -- it's almost as if ISIS took over an HR department. That's the only way I can describe it," Lindsey told NewsChannel 5 Investigates. A highly acclaimed human resources professional, Lindsey rose to become the district's executive director for employee relations. Then, in 2016, Dr. Shawn Joseph was named Nashville's director of schools. NewsChannel 5 Investigates asked, "So when did you first realize that perhaps things were not going to go well with this new administration?" "Oh, almost immediately," he answered. Lindsey said that, when a teacher brought a loaded gun to school and left it in the library, he was puzzled when Joseph did not want to fire him. "That was a head-scratcher for me," he recalled. "Why would you not terminate that person? He brought a firearm to school. People could have gotten killed, hurt." And when an Overton High School teacher got into a physical altercation with a student, Lindsey prepared a form that the director was supposed to use for reporting teacher misconduct cases to the state. He said he expected Joseph's office to submit the form. "He never did it," Lindsey said. "In fact, he never did any of them because those were his decisions." The State Board of Education is currently investigating Joseph's failure to report those misconduct cases. Then, in 2017, a sexual harassment complaint was filed against one of Joseph's friends, Metro Schools administrator Mo Carrasco. Lindsey put Carrasco on administrative leave. He sent a text message to HR chief Deborah Story and her number two, Sharon Pertiller. "In my professional opinion, it is likely too much for him to refute," Lindsey told his bosses. "It is so bad that Mo has violated every type of sexual harassment imaginable. However, to be fair and keeping with our process, he has to have his say." Lindsey's lawsuit claims Pertiller responded with a threat. "She called me and said, 'If this doesn't turn out right, Dr. Joseph is going to fire you. He may fire Deborah, he may even fire me, but he is definitely going to fire you,'" Lindsey recalled. NewsChannel 5 Investigates asked, "Did you feel like you were playing with fire?" "A person just threatened my livelihood because this is Dr. Joseph's friend? I'm supposed to perform differently or try to come up with a different result in a sexual harassment investigation. Because this is Dr. Joseph's friend, I may lose my job. That's outrageous." It turns out, as our NewsChannel 5 investigation revealed, the victim had first gone to school board member Amy Frogge, who reported it to Joseph, who did nothing. Lindsey wanted to interview the director, but he says the HR chief, Deborah Story, refused to give permission. "She told me, 'Well, Dr. Joseph and Mo don't know each other that well. Mo has never been to his home,'" the former MNPS employee said. "And I just thought, ok, where are we going with this? That's not a real answer." Carrasco later resigned, claiming he did not think he could get a fair shake. Then, a John F. Kennedy Middle School employee complained of being sexually harassed by principal Sam Braden. Lindsey called Braden into his office. "I made the assessment that we have to put this guy on leave," he recalled. "He's not responding in a way that would make me believe that he didn't do any of this. We need to investigate it." Lindsey's lawsuit says he gave Braden a letter putting him on administrative leave, then Pertiller demanded that he get the letter back. Pertiller "took me back into the office, held up my administrative leave to my face and ripped it up in my face and screamed at me and says 'You're not going to put him on adminsitrative leave,'" he recounted. "She didn't give me a reason. She just stormed out of my office." In fact, the district's own files show Braden went back to school and retaliated against the employee who had made the complaint. As for Pertiller, a Nashville law firm's investigation of the district's HR department recently reported that employees view her as "extremely divisive, dismissive and, in their view, incompetent." "Taxpayers paid a hundred thousand dollars for that -- I could have told them that for free," Lindsey said. So far, Metro Schools has already paid out $350,000 in settlements with three victims, with the bill expected to go even higher. "If I had been allowed to do my job, that never would have happened," the former HR manager said. Instead, Lindsey's lawsuit says he was forced to resign as a result of the district's retaliation -- and that the dark cloud over Metro Schools has made it difficult for him to find another HR job. But there's something more important that he says he did not lose. "l did not lose my integrity, and I've not lost my faith in God," Lindsey said. "And I believe my integrity and my faith in God are going to win the day for me." MNPS has not commented on Lindsey's lawsuit. He is expected to go to mediation with the district in the coming weeks to see if his lawsuit alleging retaliatory discharge can be settled. As for Pertiller, the district's law firm recommended that she be fired, transferred or retrained. But the district says there has been no change in her status.